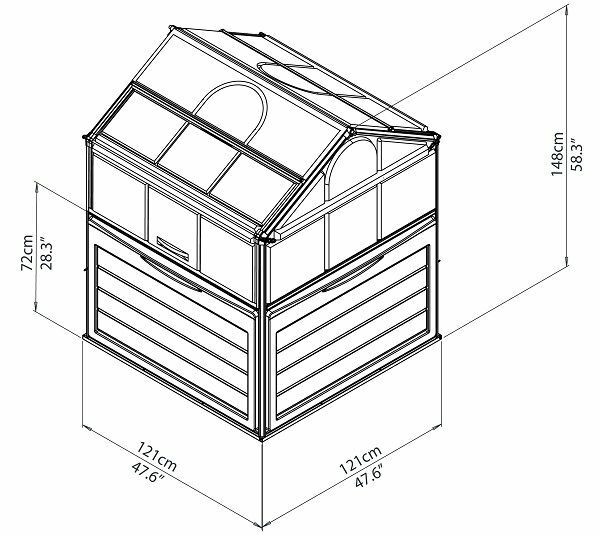 Sometimes a traditional greenhouse doesn't work for you or your outdoor space. 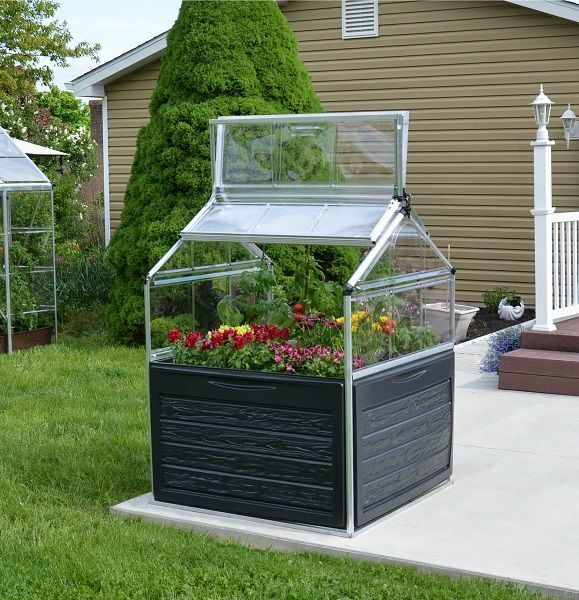 Palram offers an accessible and practical solution with the Palram Plant Inn. 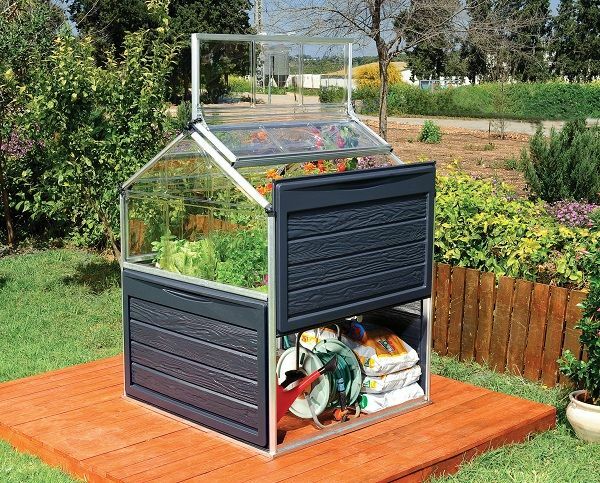 This raised garden bed with underneath covered storage is a total of 58.2 inches tall, making it a convenient work height for all ages and abilities. 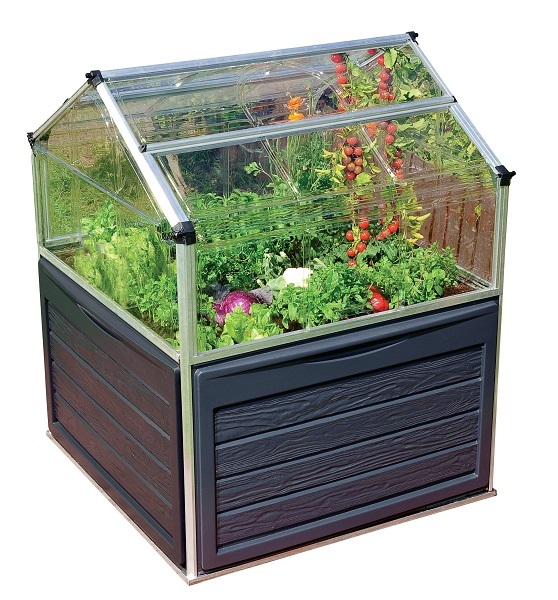 With two hinged lids, it has easy access and temperature control. Another benefit is the easy assembly with minimal tools. 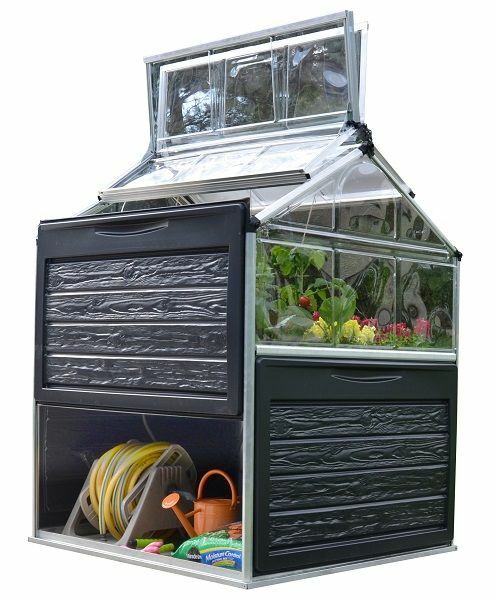 This greenhouse alternative is both family-friendly and practical.